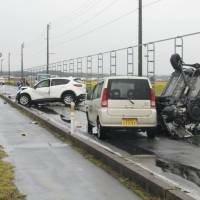 AOMORI - Four people were killed and four others were injured early Saturday in a four-car accident in Tsugaru, Aomori Prefecture, the police said. Two of the vehicles collided head-on at around 1:05 a.m. on a straight, two-lane road in a rural part of the city, before being hit by the other two cars, the police said. The accident sent one vehicle into a field and left another mangled and overturned. 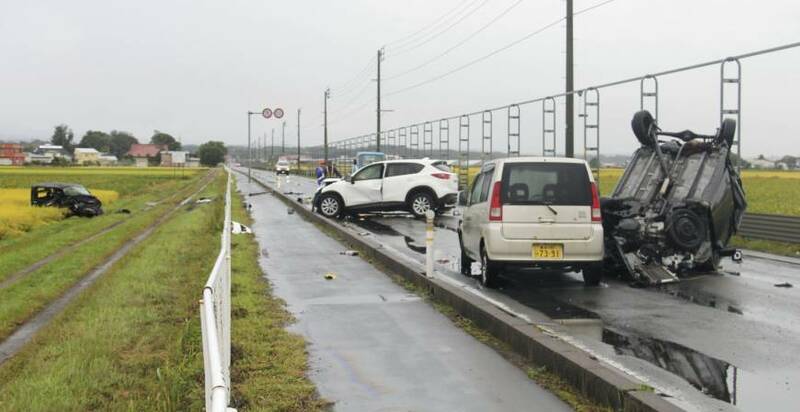 The cause of the collision was not immediately known but it was raining at the time, they said.